Are Hot Stones For You? The summer is coming soon, which means warmer weather! Because it’s warmer outside, hot stones are usually the last thing on your mind when coming in for a massage. But there are so many amazing benefits from hot stones! Heat relaxes muscles–we all know this. So why add it to your already relaxing (or a little painful) massage? Because it allows me to work more on the causes of issues. Our bodies hold onto things quickly and easily, which creates layers of tension, knots, and pain. Initial massages work only the first few layers. As I work through layers of tension, I have the opportunity to work more of the deeper layers. This is where hot stones are great! 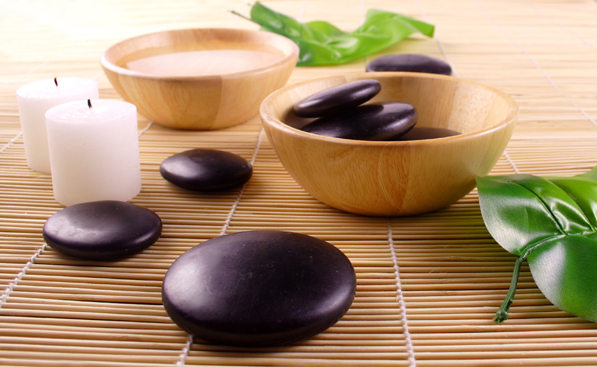 Application of hot stones increases the immediate relaxation of a muscle or of muscle groups. This allows me to get to more of the underlying areas of your issues, which makes you get more out of your massage! The application of hot stones is simple, yet variant. I can use the rocks as tools to go deeper, as gliding strokes, or I can place them on you (or under you) so your body can absorb more of the heat. Next time you are sore from stress, working out, or whatever life throws at you, think about adding on some hot stones to your massage!